Before we get into the fear stuff, let me just say that I love asking questions. Because the right questions can help you find the right answers. Because all answers are within. The right questions can help trigger a truth within you that you’ve never before been aware of. Questions can help you go within, self-reflect, get to know yourself, and identify your deeper beliefs, values, passions, dreams, pains, fears, tendencies, and motivations. Questions are transformative and can open your mind, make you think about life from a different angle, help you become a free thinker, and give you guidance. Questions are amazing which is exactly why I love sharing these types of resources with you! They are a great tool for your personal and spiritual growth journey! I’ve already written a blog post on 30 thought-provoking questions to help you become more self-aware which is by far my most popular blog post. 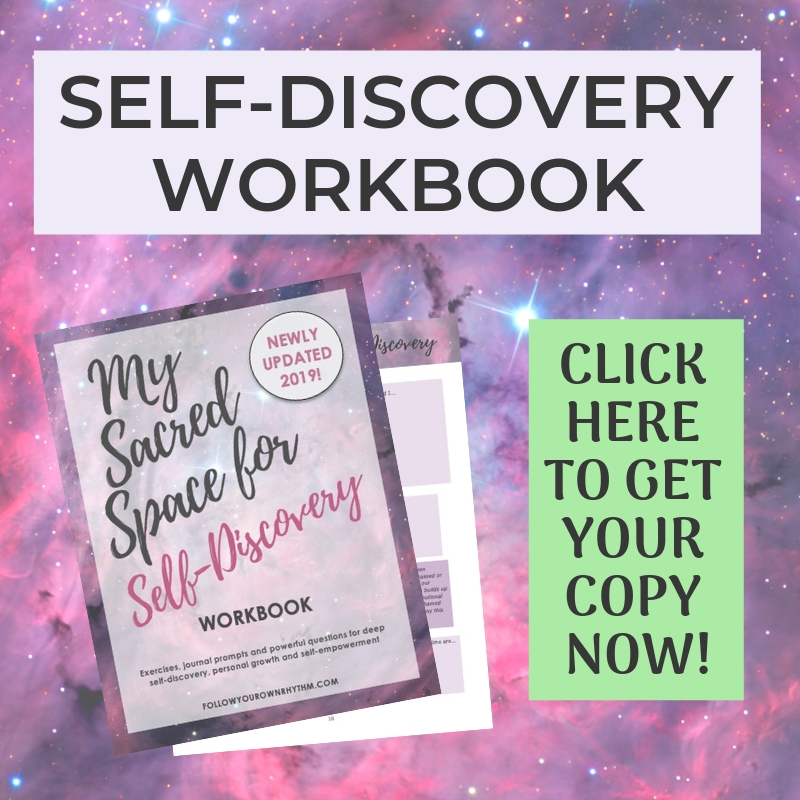 I also created a workbook with 100 self-reflective questions to help you find yourself in “My Sacred Space for Self-Discovery.” This is my most popular product! In today’s post, I wanted to talk specifically about fear, and HOW to identify it using the power of questions. Fear is a highly debilitating energy and can truly keep us from living our fullest potential. Fear is an emotion or feeling that we feel based on the belief that we are in danger. Some fear is healthy such as the fear that comes from seeing a rattle snake, as this fear will prompt you to not go near it. This is rational fear. This is your survival instincts kicking in. However, there are other types of fear that simply put, are completely irrational and don’t really serve a purpose. Some irrational fears include having a fear of ants, authority figures, speaking in public, or flying on an airplane. None of these fears are rational; they are merely based in some sort of programming, false belief system, or a past traumatic experience. Some fears aren’t as obvious as the fear of snakes or airplanes though. Some fears are more subtle and harder to detect such as the fear of failure, rejection, or loneliness. These are fears that you have to dig a little bit deeper to uncover. However, whether our fears are subtle or obvious, most of them are irrational and we experience them on a REGULAR basis. So if you have some crazy fears, please don’t be ashamed of yourself and know that we all have them. Some of us are just better than others at hiding it. Why do we experience fear? Babies are born with only 2 fears: loud noises and falling. They are not afraid of the dark, they’re not afraid of snakes, they’re not afraid of flying, they’re not afraid of looking stupid, and they’re not afraid of failure. Babies are as free as it gets. However, as we grow older, we get exposed to our environment, we start to build awareness of the world around us, we absorb all sorts of information, we start to have certain life experiences, we start to develop certain biases about the world around us, and we start to develop fears. These fears can come from getting chased by a dog, getting abused, or being made fun of for how we look. They can also come to us more indirectly such as from our parents’ fears that they have projected onto us such as through unconscious parenting, or from our social environment such as through social programming. But at the root of it all, our fears are based in ego (identification with a false self) and a disconnection from our true, spiritual nature. The more disconnected we are, the more we fear and the more anxiety we experience on a daily basis. The more we surrender and the more we connect with our Higher selves, the more our fears dissolve. Obviously the deeper and more ingrained the fear, the harder it will be to overcome it. But I do believe it’s possible. How do we overcome fear? I used to have a pretty extreme fear of dogs due to a childhood experience. After doing some spiritual growth work, I no longer (irrationally) fear dogs. The fear is gone. However, I do have pretty strong irrational fears in some other areas of my life, which is not so easy to dissolve and will take a bit more work to overcome. However, I will say this. The most helpful thing in overcoming your fears is to become aware of them. Identify them. See them for what they are. Because many of our fears are subtle, we go through life without ever giving them a second thought, and we let them rule our lives. These unacknowledged fears can cause a lot of emotional damage, so the main point is to become aware of them. By becoming aware of your fears, you’re bringing them to the light. When they’re in the light, they’re no longer in the dark and they’re not as scary anymore. Bringing them to the surface allows you to interpret them from an adult’s mind and from a higher perspective to see how illogical and irrational the fear is. A lot of times, this conscious perspective of the fear is all you need to eradicate it. Other times, however, the fear is more deeply programmed and you need to do more work. You need to go deeper into the fear and find out its source and then tackle it from that angle. Sometimes it helps to hire a professional to help you process the pain, and sometimes all you need is to actually DO what scares you most so you can get comfortable and skilled at doing it. Scared of rejection? Put yourself in a position to get rejected. Get comfortable with the feelings it creates and process them as you go. Scared of the ocean? Get out there and get comfortable with being in the ocean. Scared of dancing in public? Take a class, get good, and start practicing in public. Doing what you’re most scared of doing, and then doing it over and over again, will not only help you become more comfortable with it, but you will gain the skills, experience, and confidence to deal with it effectively. If you need help getting out of your comfort zone, check out my blog post on 3 tips that will make it easier to get your comfort zone! But before you can do any of that, you need to first IDENTIFY what your actual fears are. You need to bring them to the light. So to help with that, here are 15 insightful questions that you can ask yourself. Keep in mind that these questions are going to trigger your fears, make you go deep, and make you feel uncomfortable. That’s the whole point….to bring these uncomfortable feelings to the surface and to not be afraid of them. The more you keep them in the dark, the scarier they will be. Also keep in mind that a lot of times when we feel frustrated, impatient, anxious, angry, or jealous, it’s usually FEAR at the root. Fear expresses itself as all sorts of negative emotions so don’t dismiss these feelings too easily. For example, let’s say that you hate being in traffic and it makes you feel really impatient and frustrated. You might not think that this is based in some sort of a fear, but if you dig deeper, you may be able to discover that your sense of impatience comes from the fear of being late to work and getting fired. Then you can explore further where that fear comes from. If you’d like to start answering these questions right away, I made it into a free downloadable worksheet! DOWNLOAD THE FREE WORKSHEET HERE! 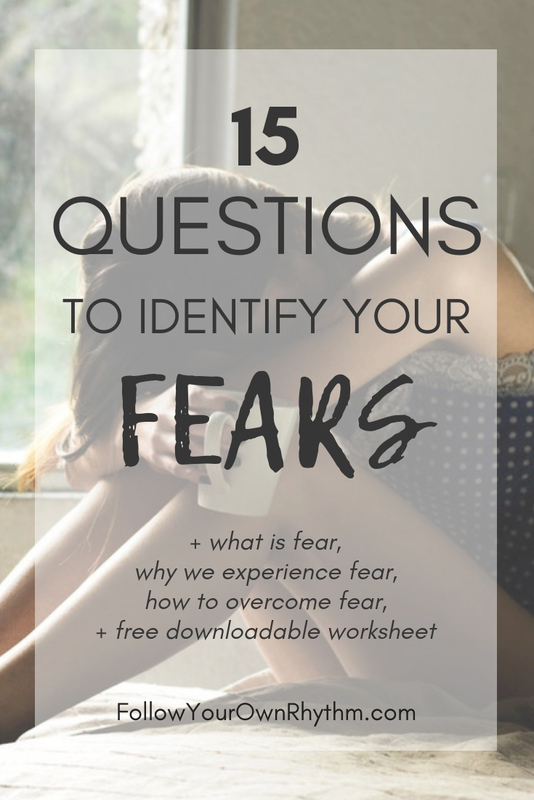 Download the free worksheet to help you identify your fears! You will be able to access it in my free resource library. What do you absolutely HATE doing and how does it make you feel? Do you hate it because it triggers a deeper fear within you? What fear? What causes you anxiety? What triggers your anxiety or what makes you nervous and uneasy? What are some of your biggest, most obvious fears? What deeper fear is this obvious fear based in? Can you think back to a childhood event that created this fear? Is there something in your life that you really want to do, or a certain passion or dream you have, but aren’t doing because you’re scared? What is it and what are you scared of? Have you avoided certain jobs, people, places, situations, conversations or experiences out of a fear of something?What was it and what was the fear? Is there a deeper fear it’s based in? What types of topics make you uncomfortable to talk about? Why? Is it based in a fear? Whatever your fear is, can you go deeper and see if it’s based in a deeper fear? Are you currently in a job that you’re scared to leave? Why? What is the fear? What deeper fear is it based in? Do you fear the truth? Are you afraid of hearing the truth? Why? How do you feel around authority figures? Scared, nervous, shy, uncomfortable, etc. What deeper fear is this based in? Are you afraid of what other people think of you? What about it scares you most? Does uncertainty and “not knowing” scare you or make you feel uncomfortable? What about it scares you? How do you feel about change? Does it scare you? What about it scares you? Are you comfortable with being vulnerable? If no, why not? Can you pinpoint a deeper fear? Do you enjoy being alone? If no, why not and what deeper fear is it based in? Based on your answers to these questions, name your deepest fears. For each of your fears, try to see if it’s realistic. Does this fear make sense? Is it rational? Is it logical? Is it factual? Is it true? Or is the fear just a crazy idea in your head? It’s only our conditioned minds and patterns that tell us that there is something to be afraid of when things are perfectly safe. After all, F.E.A.R. does stand for “false evidence appearing real,” so if you can learn to override your conditioned mind, fear will no longer control you. Obviously this is a lifelong process, but you can start the process by becoming aware of your fears! DOWNLOAD THE FREE 15 QUESTION WORKSHEET HERE! 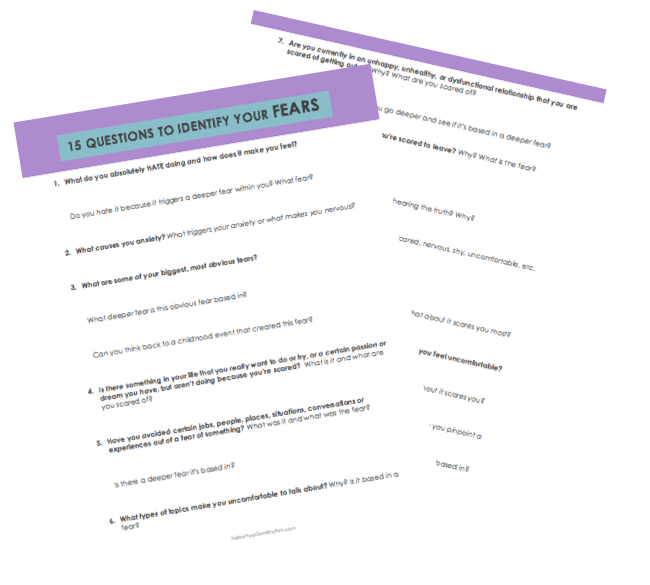 Download the free "identify your fears" worksheet in my resource library! 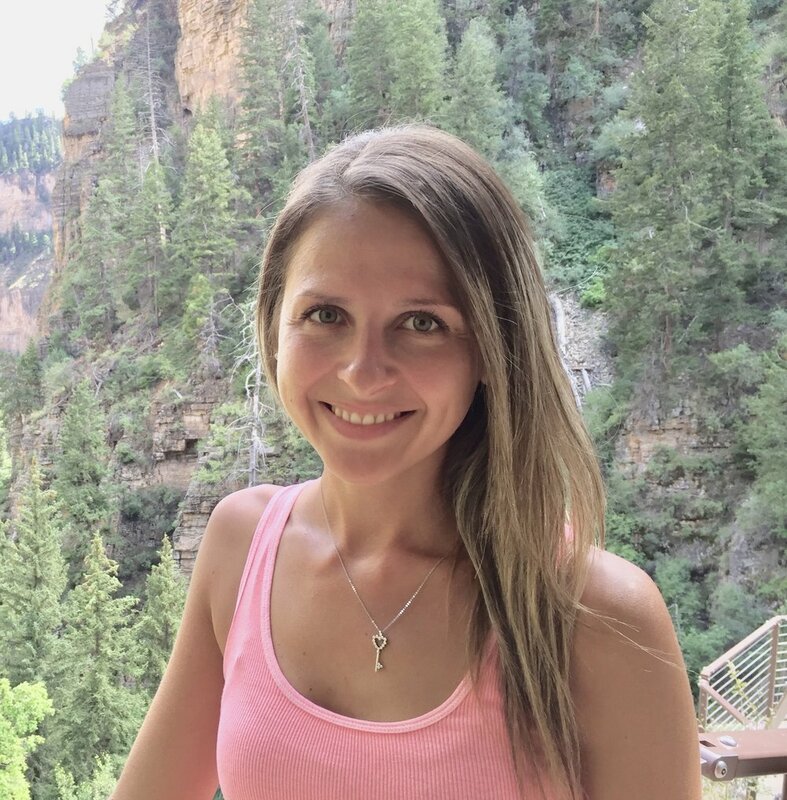 And if you’re ready to overcome your fears, check out this article from Kaitlyn Moorhead with specific steps on how to work through your fears. I hope this article served you and I wish you the best on your journey! What is YOUR biggest fear? Leave it in the comments below to prove that we’re all in this together! Thank you for reading and please share this article if you thought it was helpful! SUBSCRIBE FOR MORE ARTICLES AND ACCESS TO MY FREE RESOURCE LIBRARY! Confidence is an inside job. Real, true, deep and lasting confidence cannot be attained by doing something on the outside or by getting lots of compliments and being liked by others. The key to radiant self-confidence is to develop a positive relationship with yourself. Read on to learn the 5 essential keys to true and lasting confidence. When you fully and truly love yourself, you naturally want to take care of yourself. You do this by nourishing, nurturing, respecting, honoring, understanding, embracing, and appreciating ALL parts of you: mind, body and soul. Self-care is all about showing love for yourself through practices that energize, empower, relax, enliven, inspire, nurture, rejuvenate and uplift you. Here are 11 self-care practices I personally love! If you are looking to begin not just a self-care practice, but a more connected, positive, and loving relationship with yourself, then here are 5 foundational things you need to do to make it a success. Victim mentality is characterized by a state of “victimhood” that follows the perspective that you have no control over your life, behaviors, and feelings, and that the external world not only controls you, but is “out to get you.” Those with a victim mentality constantly feel like they’re being victimized or attacked regardless of their circumstances. They feel like they have no control to change their lives and that someone or something “out there” put them in the situation they are in. Personal growth is all about viewing life as your teacher, and using every life experience to help you move past limits so you can expand your potential. Today, as a way to motivate you to get serious about your own personal growth, I wanted to share its 5 benefits with you. The type of perspective you have will determine the quality of your life. Here are 5 new perspectives to try on to improve the quality of your experiences and have a more harmonious and positive relationship with life. Each and every one of us has the power to achieve all of our dreams, goals, and desires. We are all capable of making the changes we need to make to create our ideal lives. In this blog post, I offer 5 steps you can take to achieve your goals, as well as a free workbook that will help you get clear on your dreams and desires and put an action plan in place to pursue them. Free guided meditation for self-forgiveness with affirmations. Goes with “How to Forgive Yourself” blog post. Self forgiveness has been an INTEGRAL part of my personal transformation and I realized that without self-forgiveness, we’re incapable of healing our inner wounds comprised of shame, doubt, self-hatred, and self-sabotage. Self-forgiveness is absolutely necessary for inner peace and happiness. In this post, I share tips for self-forgiveness, a step-by-step exercise for how to forgive yourself, and a guided meditation that you can listen to everyday to make it easier to forgive yourself. Forgiveness has nothing to do with the person you’re forgiving, and everything to do with you. You don’t forgive to free the other of what they did, you forgive to FREE YOURSELF. Forgiveness is about letting go and healing from the past. Learn the 9 steps that you can take to forgive those who have hurt you so you can release the heaviness that comes from holding a grudge! 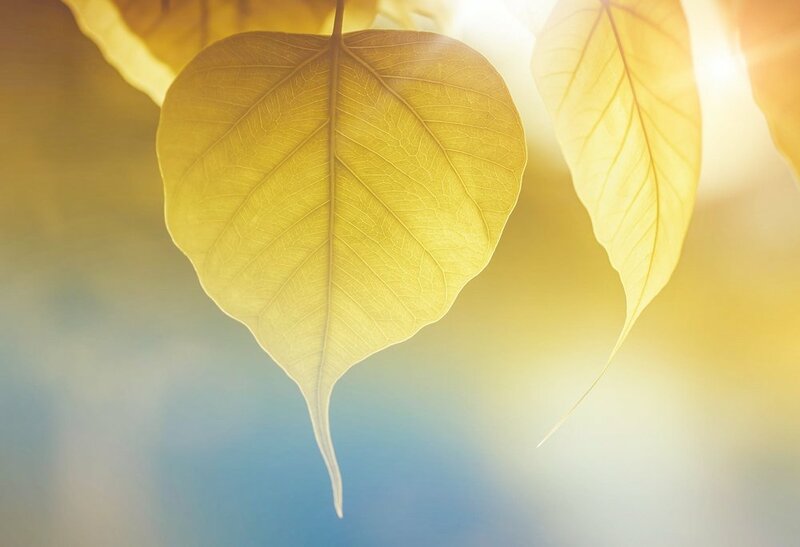 While forgiveness is one of the most powerful tools for healing, it’s not practiced often enough. It’s so much more natural to blame, hate, and resent than to forgive those who have hurt us. In this post, find out what forgiveness actually means, when to forgive, and why it’s so important. Fear is a highly debilitating energy and can truly keep us from living our fullest potential. In this post, we talk about what fear is, why we experience fear, and how to overcome it. I will also share with you 15 insightful questions that will help you identify your own fears. You can also download the 15 questions for free as a PDF worksheet. Redefining Success: What Does Success Mean to You? Take a moment and think about what your definition of success is. What does it mean to be successful? In this day and age, we are made to believe that success is based on external factors such as how well we do in school, how well we perform at our job, etc. but is that REALLY true success? Take a moment to redefine your definition of success and see what it TRULY means to YOU! Most people go through life operating solely on autopilot, going through the motions, and living within the constructs of society. Operating out of unconscious programming based on how we’ve been socially programmed to think and behave, most people live their lives attached to an identity that isn’t even them, all the while feeling deep loneliness and emptiness within…. Elevate your energy and raise your consciousness through gratitude. Gratitude is the language of the universe and by embodying this high vibrational energy, you will notice shifts in your life. You will also learn specific exercises for how to shift into a grateful mindset. Do you have trouble falling asleep at night because your mind is racing? Stressing, worrying, and overthinking about your day, your life, and all that you have to do? Well I have a simple trick that you can use to help you fall asleep fast and peacefully that works every time! Universal Spirit is talking to us. It is trying to get our attention. It is trying to guide us, connect with us, and wake us up. There are plenty of signs out there but are we looking? Are we listening? And do we even know what to look for? Here are 17 signs from the universe. In this post you will learn HOW to show that you love and care for another, how to feel more connected to another, what “presence” means, and 5 practical ways to be more present with others. These tips will not only improve the quality of your relationships, but will help you live fully in the moment. If you feel the pressure from the world to be a certain way and feel like you have to do certain things, or if you have trouble dealing with the stress in your life, then this free guide will definitely help you live and think more freely. Click through and download the PDF guide for free! Find out 11 ways that you can reset, recharge, lift your spirits, and feel better when you feel down, stressed, overwhelmed, or negative. Powerful tips that you can apply immediately to shift your mood! If you’re at a “fed up” point in your life and want to make some positive changes in your life, then let this post guide you through the steps and questions you should ask yourself before making this change. It comes with a free downloadable worksheet. 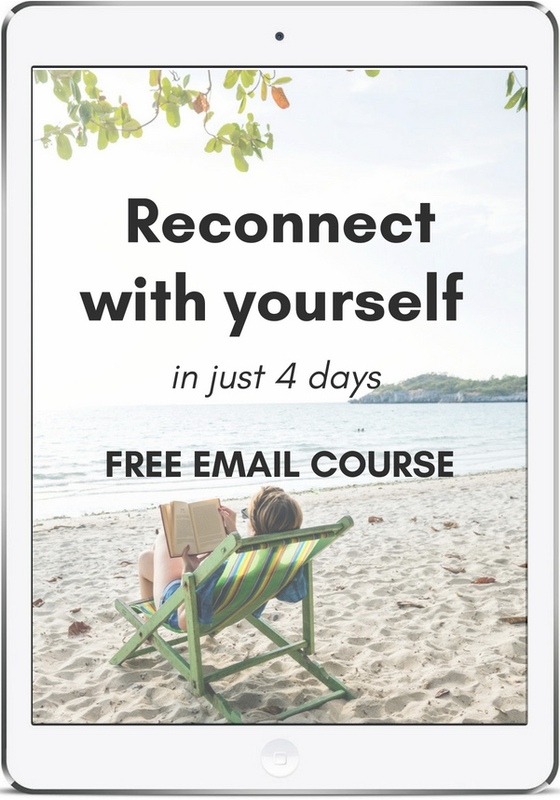 Free email course on reconnecting with yourself. Over the course of 4 days, you will learn powerful tools and practices to deepen your connection to yourself so you can feel lighter, happier, rejuvenated, and motivated to start making positive changes in your life. In this post, find out where our lack of self-confidence stems from, the secret to not caring about what other people think of you, and key shifts you have to make to start being more confident. Short post with lots of wisdom! Have you been struggling with self-acceptance? Self-sabotaging, criticizing, and being ashamed of who you are? Well find out what self-acceptance really means and how to do it in 3 steps so that you can finally love and embrace ALL parts of you. 6 Ways My Life Changed When I Finally "Found Myself"
Being stuck in a rut, not knowing what you want to do with your life, not knowing what you're passionate about, or feeling worried, anxious, and disconnected all the time is NO FUN. However, when you find yourself, ALL the pieces fall into place. Have you ever wondered what your intuition might be saying to you? And have you wondered HOW it might be trying to communicate with you? Here are 3 signs that your intuition wants to tell you something! The 4th and final key to personal growth and transformation is IMPLEMENTATION. Applying, integrating, and implementing all that you have learned into real life situations. Find out what implementation means, why it's important, examples of what it looks like in real, and tips on how you can practice it. Part 3 of the personal growth and transformation series focuses on constantly learning and being open. Find out in depth what that means, why it's important, and how you can incorporate this practice into your own life. The second key to personal growth and transformation is self-awareness. Find out what self-awareness means, why it's important, what it looks like in real life, and tips on how you can be more self-aware. If you are on a path of personal growth, self-improvement, transformation or looking to make some positive changes within yourself, then this 4-part blog series is for you! This is part 1 of the series on SELF-HONESTY and what it is, why it's important, and how you can be more honest with yourself. Older PostRedefining Success: What Does Success Mean to You? Hi, I'm Barbara - I guide and empower strong hearted truth seekers to follow their own path, see life from a new lens, live more consciously, break free from negative conditioned patterns, and discover their authentic selves so that they can live in true freedom, happiness, and fulfillment. Ready to begin? CLICK HERE! 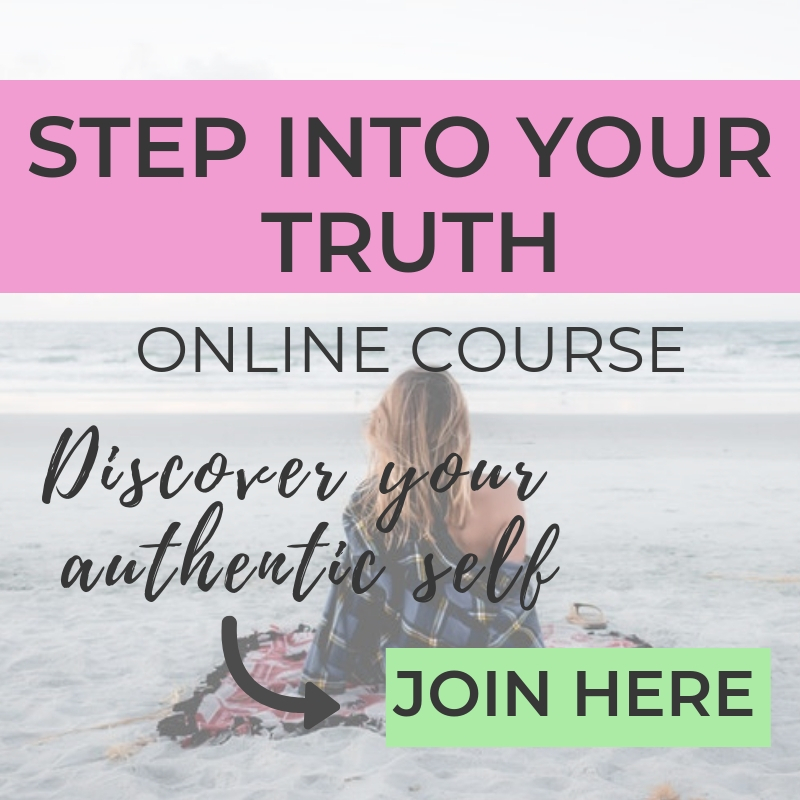 Sign up for my free 4 day email course to get reconnected to your true self! Join the Follow Your Own Rhythm community for weekly guidance & inspiration, and access to my free resource library! Download your free resources and receive weekly emails full of guidance on living your truth and loving your life! I'm Barbara, a truth seeker passionate about helping people break free of limitations, find who it is they truly are, and live a life of freedom, happiness, and fulfillment. If you are ready to begin the journey, click here.